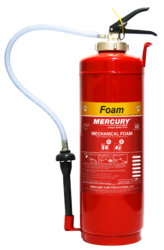 Manufacturer of a wide range of products which include mechanical foam fire extinguisher 9ltr, foam fire extinguisher, portable fire extinguisher, auto fire extinguisher, trolley mounted fire extinguishers and dry chemical fire extinguisher. 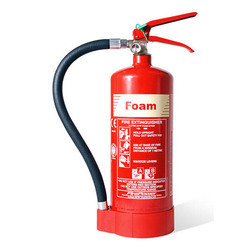 We supply wide range of mechanical foam type fire extinguishers in various capacities. We supply a best quality product. 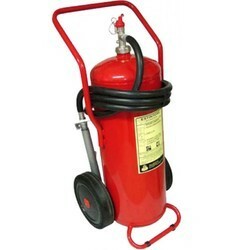 We are leading manufacturer of Portable Fire Extinguisher. Available in various capacities and for different chemicals as well. We are consistently providing a quality assured spectrum of Automatic Modular Fire Extinguisher to our prestigious customers. 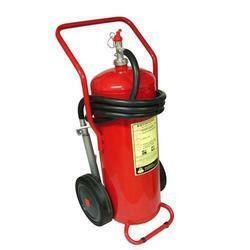 We provide the best quality of Trolley Mounted fire extinguishers. These products are made obtainable by us, highly demanded owing to their long working life, energy efficiency and optimal functionality. These are meant for safety features and find applications in commercial and residential sectors including banks, malls, offices, school etc. These are widely used to control fire. 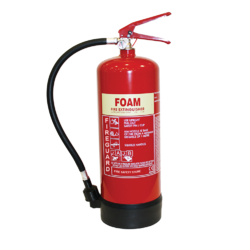 Owing to the wide experience in this domain, we are instrumental in offering AFFF Foam Fire Extinguisher. From the day one of our Inception we are providing Fire and safety products to our valuable clients. 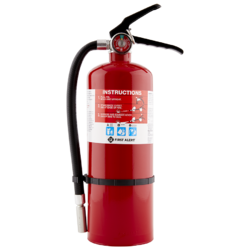 The offered extinguisher is precisely manufactured at vendors’ well-organised production unit using high grade components and advanced technology under the perfect observation of highly skilled team. 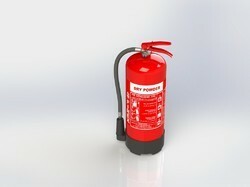 This is mainly used for controlling and extinguishing the fire in industrial places. 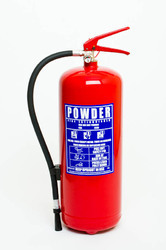 Looking for Foam Fire Extinguishers ?